Narcis and Albert are seen here with their two oldest children. Narcis is holding Evie (Knight), b. 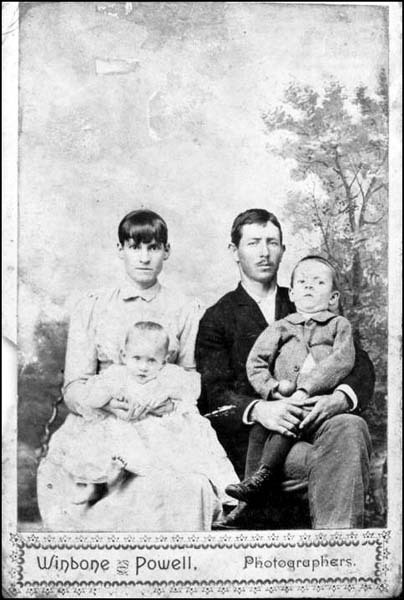 1893; Albert is holding Iva, b. 1891. Photo would be circa 1894. Image courtesy of Bob Ann Breland.